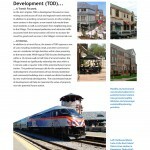 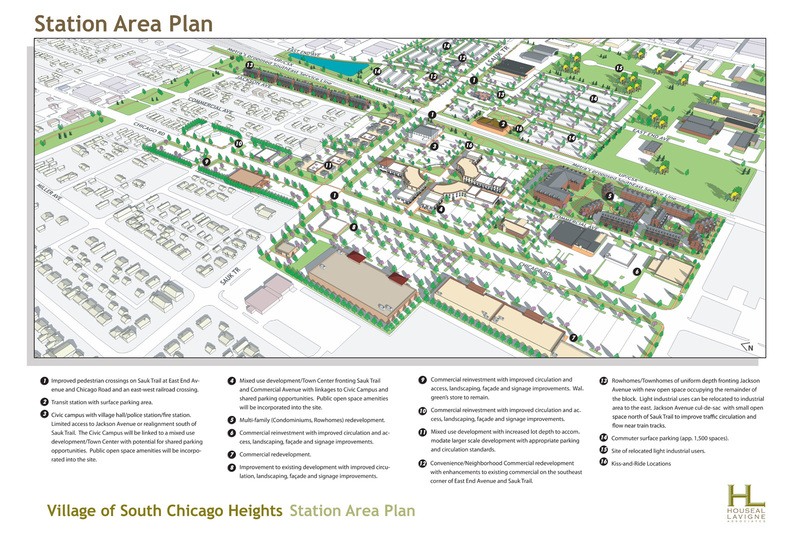 Houseal Lavigne Associates led an interdisciplinary team to create a Station Area Plan for a proposed commuter rail station with connection to downtown Chicago. 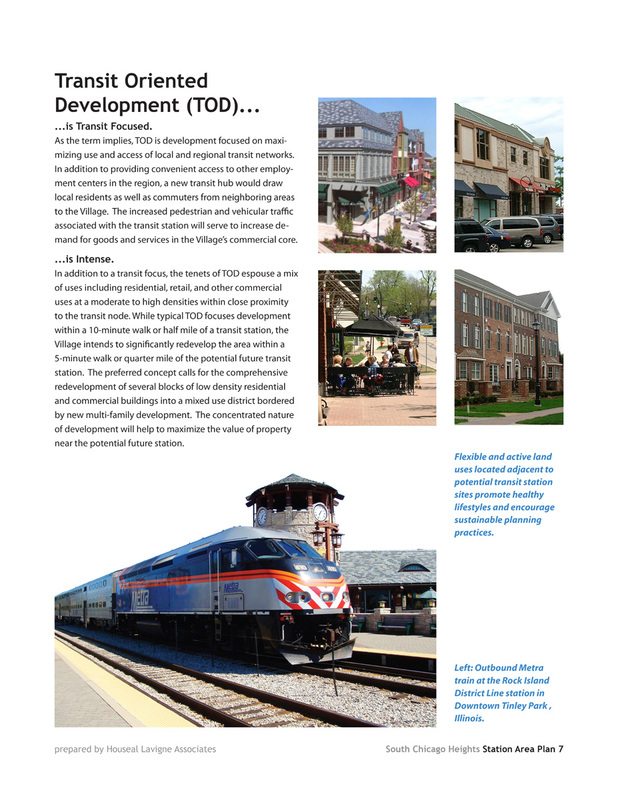 After extensive analysis under the Federal Transit Administrations’ (FTA’s) New Starts AA process, including different alignments and modal technologies, it was still undetermined what the final transportation mode would ultimately be - Bus Rapid Transit (BRT) or traditional commuter rail. 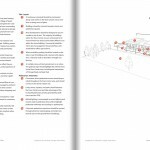 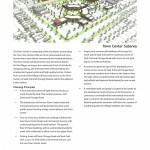 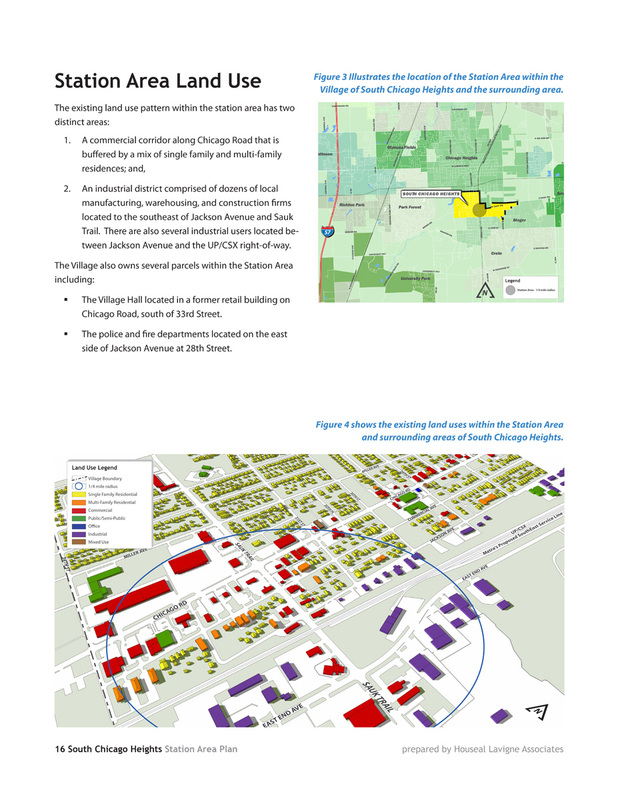 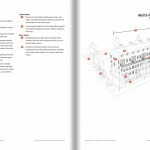 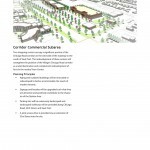 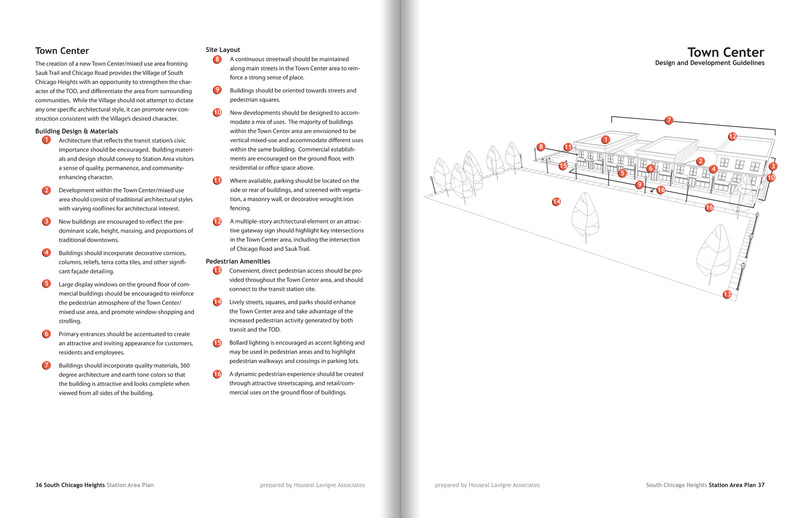 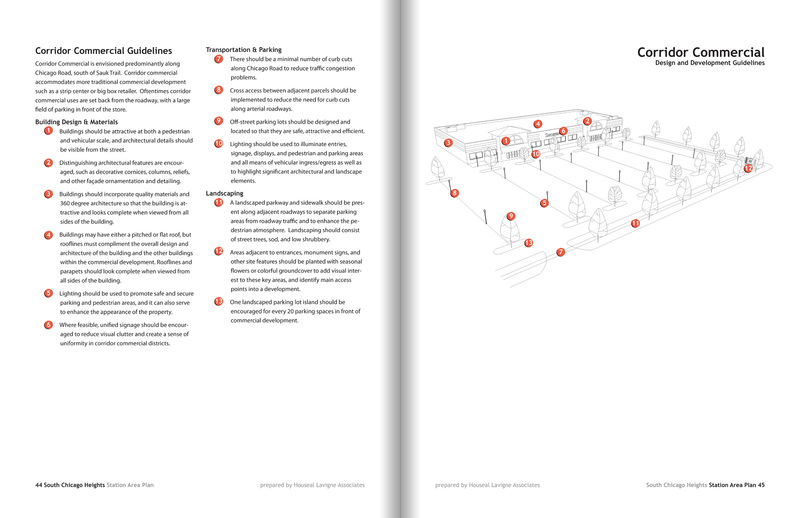 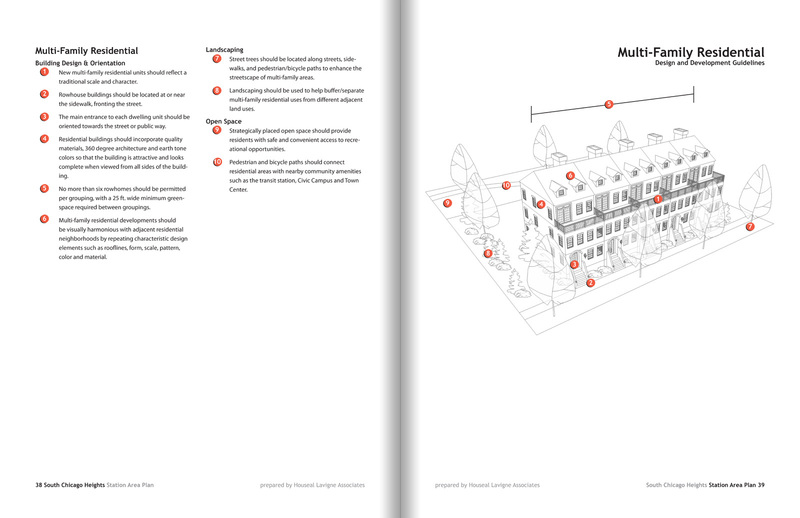 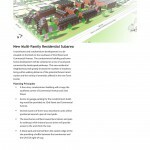 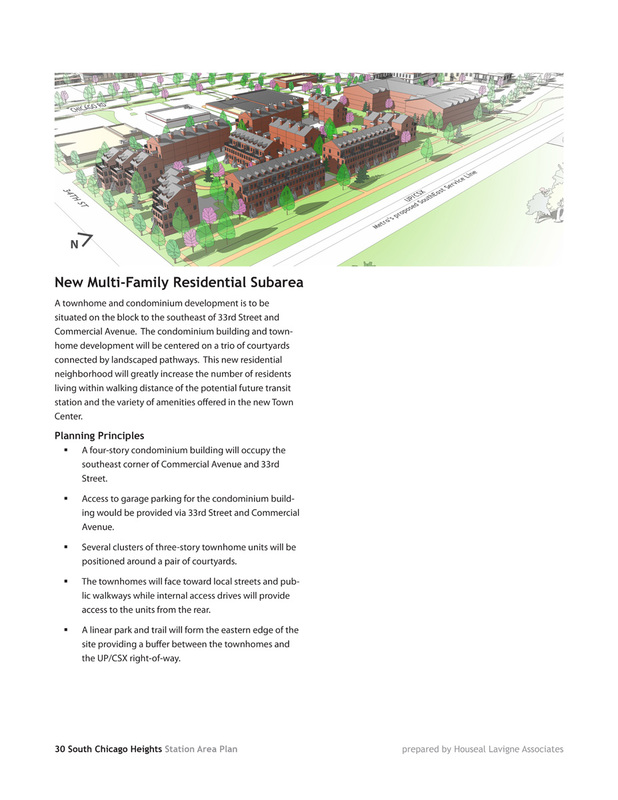 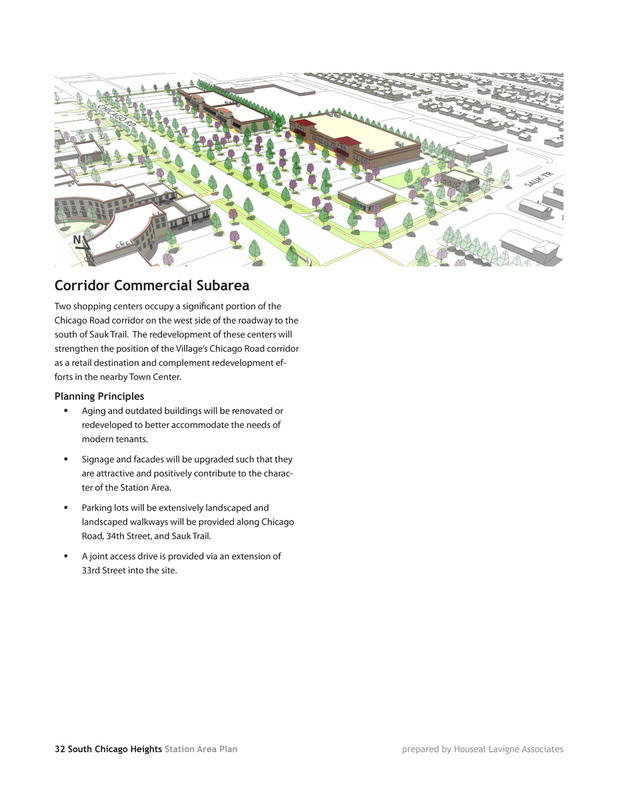 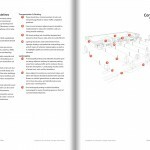 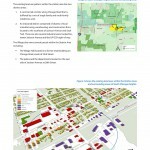 Looking ahead at the possibilities a new station might bring, South Chicago Heights’ Station Area Plan establishes appropriate guidelines for density, orientation, unit-type, location, and other items relating to the overall design and quality of new development in the area. 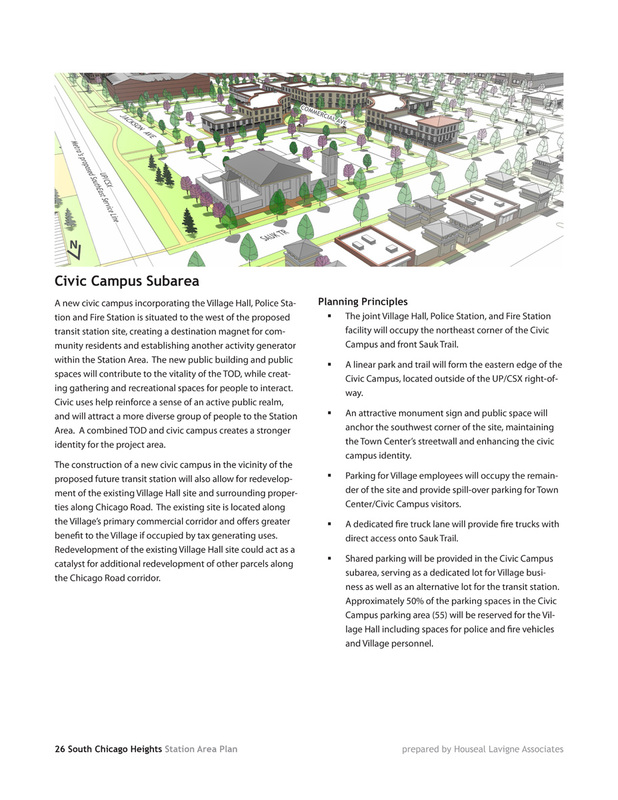 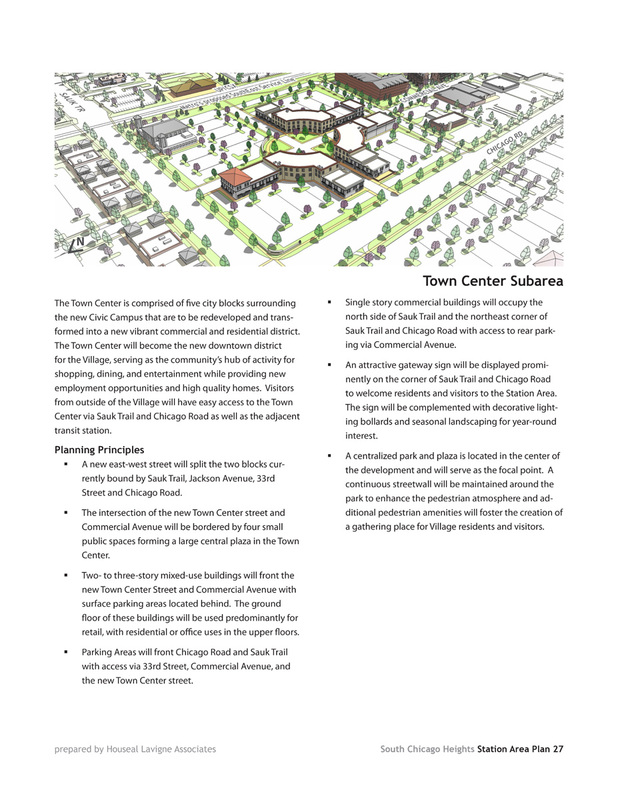 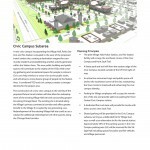 Additionally, the Plan identifies gateway locations, streetscape enhancements, and beautification improvements for the Chicago Road and Sauk Trail corridors that will enable the Village to improve its image and distinguish itself from nearby communities.